The third instalment in Tsui Hark's fantasy series comes to UK cinemas in July. Veteran director Tsui Hark (The Taking of Tiger Mountain, Once Upon a Time in China, The Banquet) returns with the third instalment of the Detective Dee series, Detective Dee: The Four Heavenly Kings. 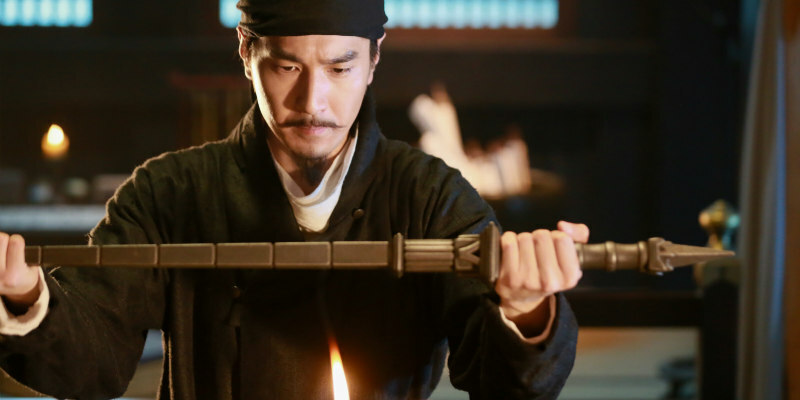 Mark Chao returns to the titular role, this time hired by the Tang dynasty to guard against the evil Empress Wu (Carina Lau). Detective Dee: The Four Heavenly Kings is in UK cinemas July 27th. In this historical martial arts epic, Detective Dee (Mark Chao, Young Detective Dee, Monga) is appointed by Emperor Gaozong to protect the Tang Dynasty from rival Empress Wu (Carina Lau, 2046, Days of Being Wild) and is bestowed with the magical Dragon Taming Mace. Wu orders Yuchi Zhenjin (Feng Shaofeng, Wolf Totem, White Vengeance) of the Golden Gard to recruit five mystics and task them with stealing the threatening Mace, the consequence of which is capital punishment for Dee.